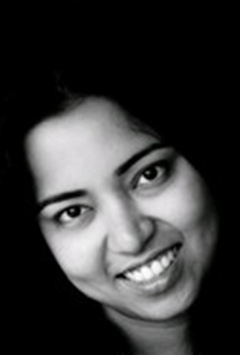 Paromita is a foodie, an avid reader, a coffee lover & has a bit of a travel bug. She is also an astute marketeer, specialising in bringing brands and customers closer in the digital world. With more than a decade’s experience in marketing across multiple countries, she has honed her skills in digital customer acquisition & retention. She claims to be one of the lucky few people in the world who loves her job & can never find an excuse for not going to work. She started her career in the agency world working with some of the top brands such as Nokia, Sony, Nestle & Telstra. Her love for technology & analytics saw her spend more & more time learning abt the ever evolving digital marketing world. Talking abt learning, her educational background has a few qualifications. She holds an MBA in Marketing & has a couple more masters degrees – one in International Business & another in Business Marketing. Too many degrees, right??? She insists they were necessities & not a weird hobby. She is currently the Head Of Digital Marketing for HP Omnichannel. Prior to HP she was at Telstra Digital building their online business.